Guardians of the Galaxy is confirmed to be a roller coaster. During EPCOT's 35th anniversary, the VP of EPCOT confirmed that Guardians of the Galaxy will be a coaster. The Universe of Energy will be the entrance and station to the coaster, with the ride being launched through a tunnel to a new 100-foot building built behind the Universe of Energy. The Coaster will be EPCOT's first. It's just another ride in a long line of Disney Expansions. 2021 Disney will be incredibly different from 2017 Disney. 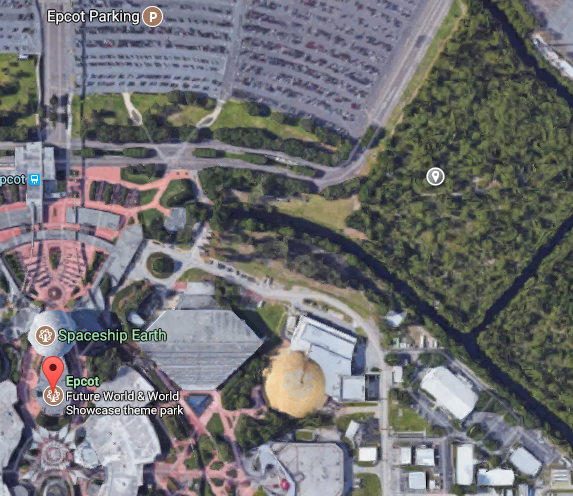 Universe of Energy of the Diamond Shaped Building, with the new show building to be located in the trees marked with the grey mark. This ride will be huge! "There's work going on inside that building now," said VP Melissa Valiquette. Check out the "Inside the Magic" Video below for more info on the expansions, and how the 35-year anniversary went!